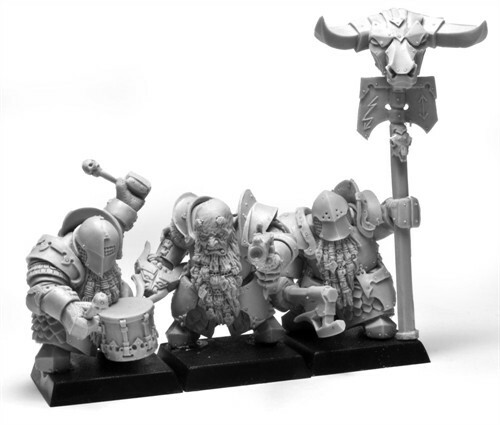 Though I’m not sure they would ever have been popular in their latest GW form where they appeared to be little fat jewish warriors… not exactly a fantasy staple, I’m not surprised they where dropped in that format. 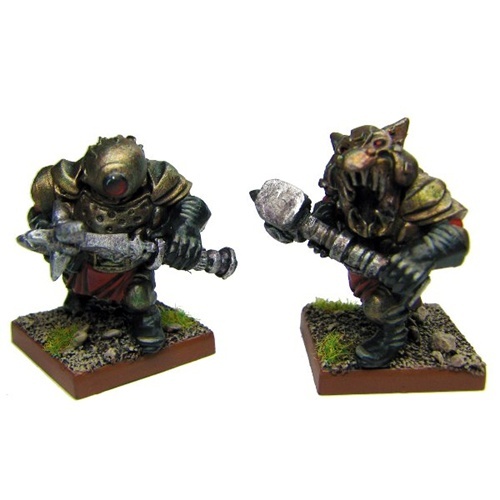 Now that you mention it they do look like rabbis. 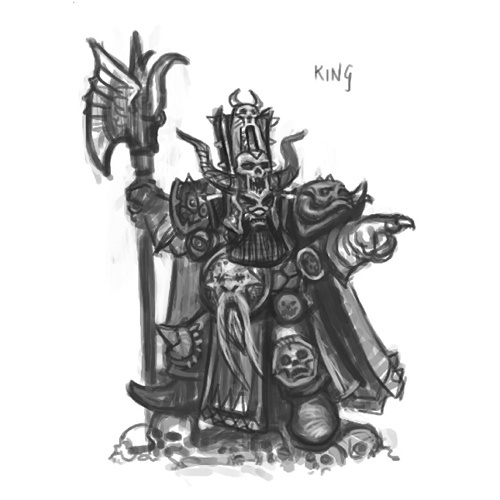 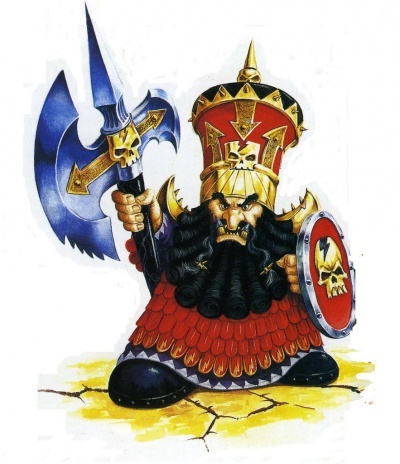 I do miss the ‘older’ style Chaos Dwarfs with the Assyrian beards and tall hats, but I think the much newer Hellcanon crew look great, they have a much darker look than the classic range, and I like that they have an image more closely aligned with the Warriors of Chaos. 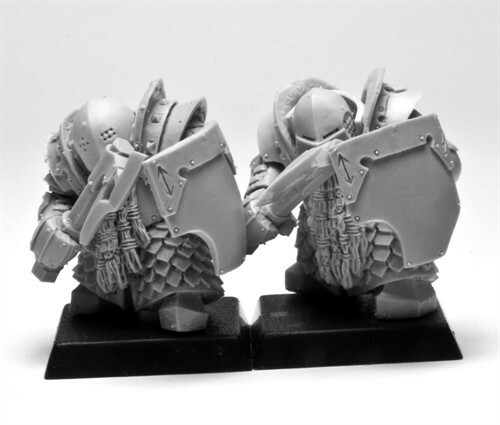 My own poor attempts at conversions are more along these lines – I will post pictures once I think I can bear the embarrassment of my poor handiwork being on display! 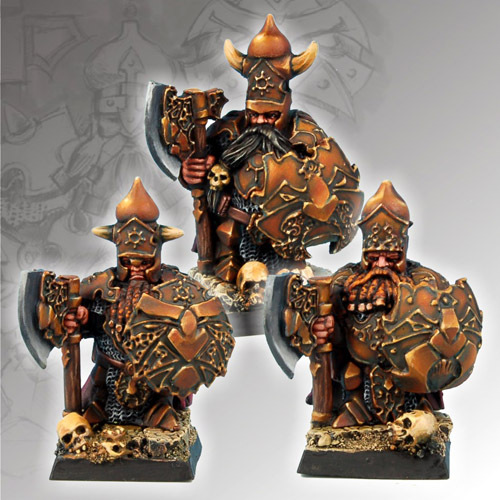 Scribor miniatures also do a range (28mm moscals army) which make great chaos, definately worth checking out. 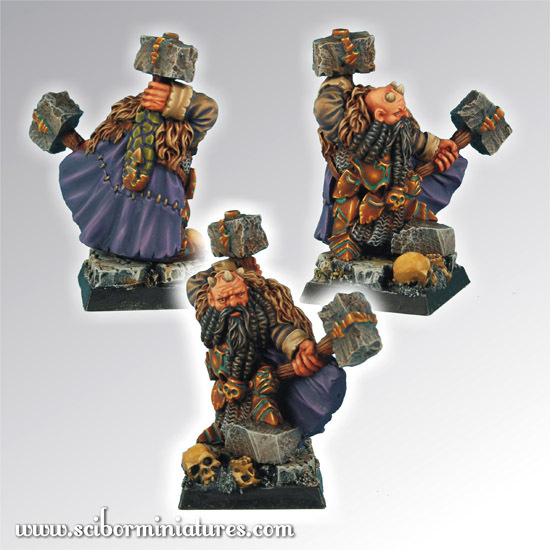 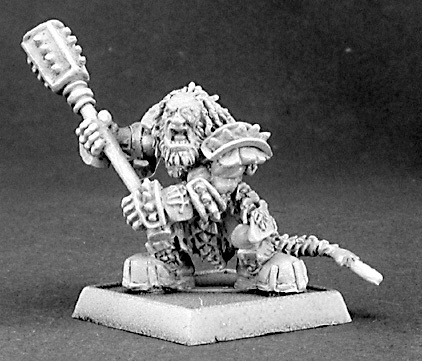 They also do an amazing selection of normal dwarves as well – excellent for warrior minis. 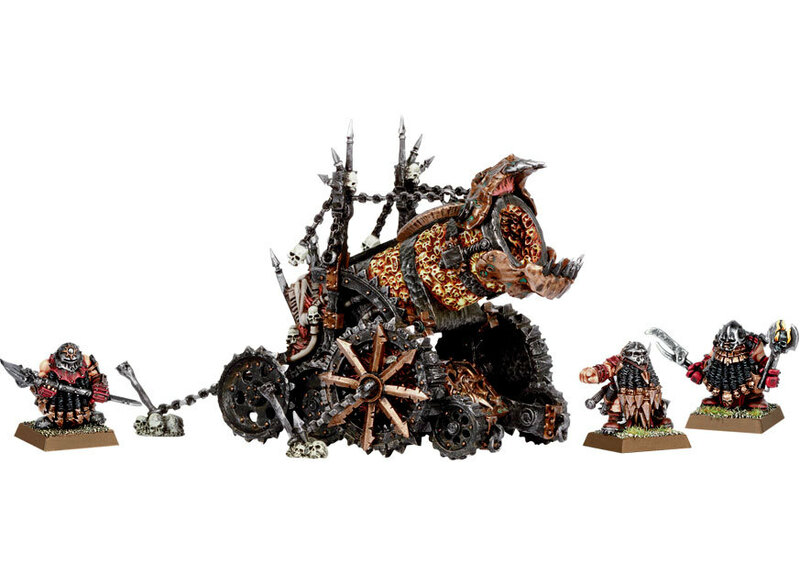 Has anyone mentioned conversions? 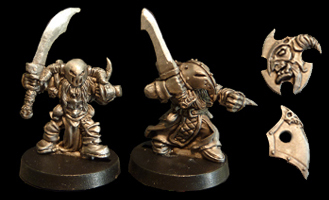 Using the spikes and blades from Warhammer 40k plastic Dark Eldar and Chaos on Fantasy Dwarves would be a really easy way to make enough for Warhammer Quest or a Blood Bowl team. 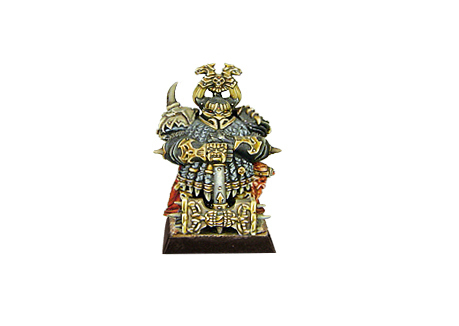 You may also be able to obtain some of the rare old minis on Ebay. 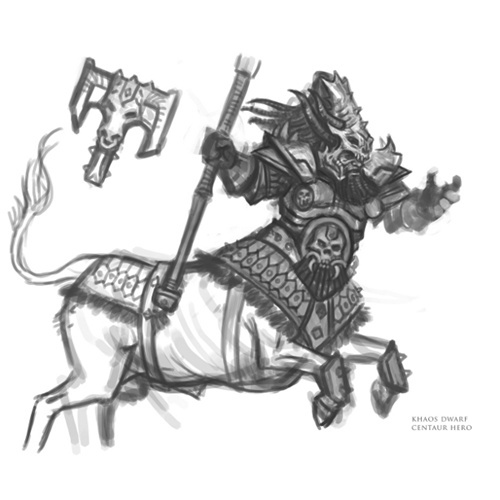 Hi Ausphexx – thanks for your reply. 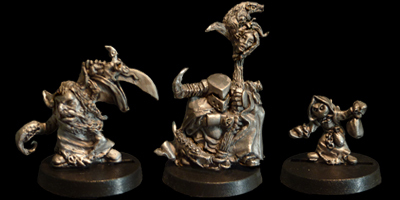 I think I will expand upon the conversions section a little more, just to make your point about the Dark Eldar and Chaos bitz. 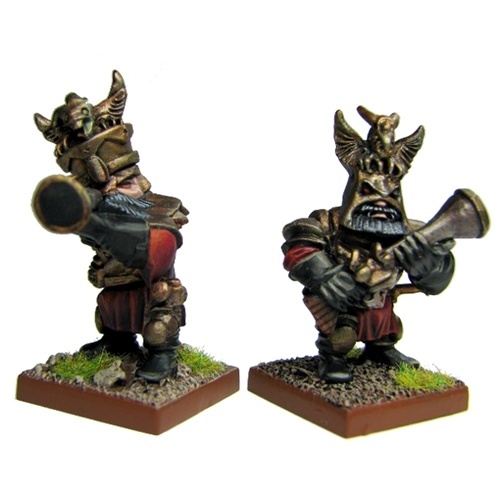 Have you seen the Bederken Dwergs sculpted by Dave King (http://www.bederken.com/shop.htm)? 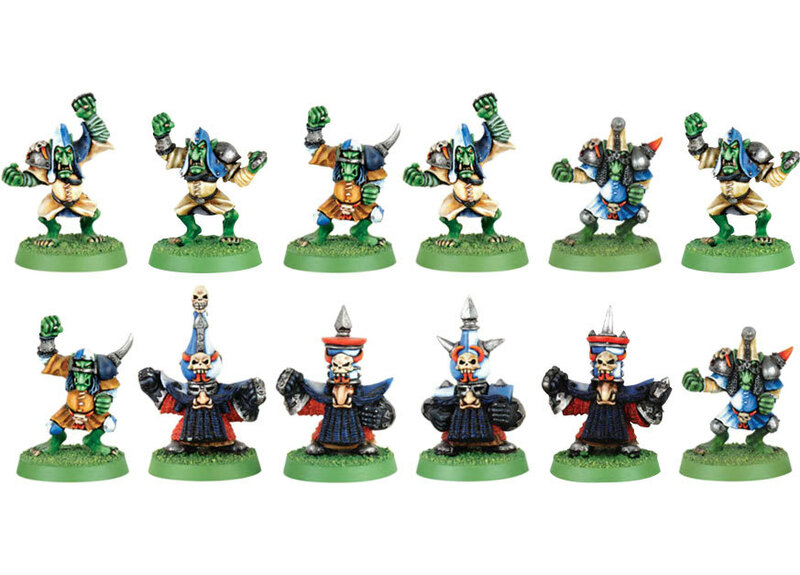 They are much more like the old MM90 figures than the more recent ‘big hat’ chappies. 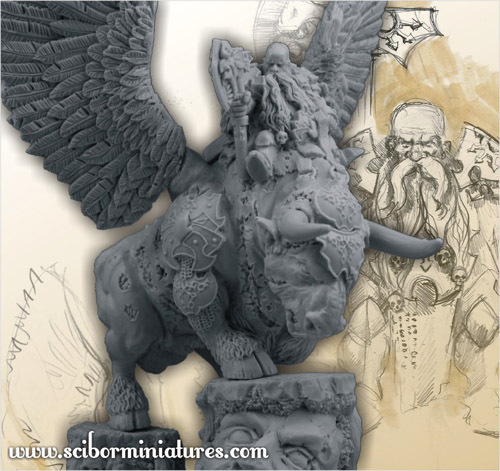 Much more chaotic to my eye! 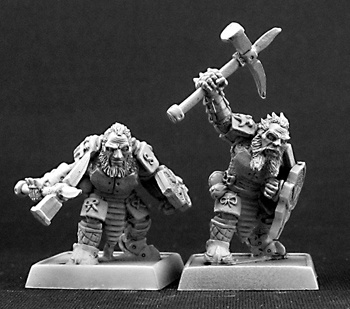 Thanks for the link – I’ll be sure to update the article with the Bederken miniatures, they look fantastic! 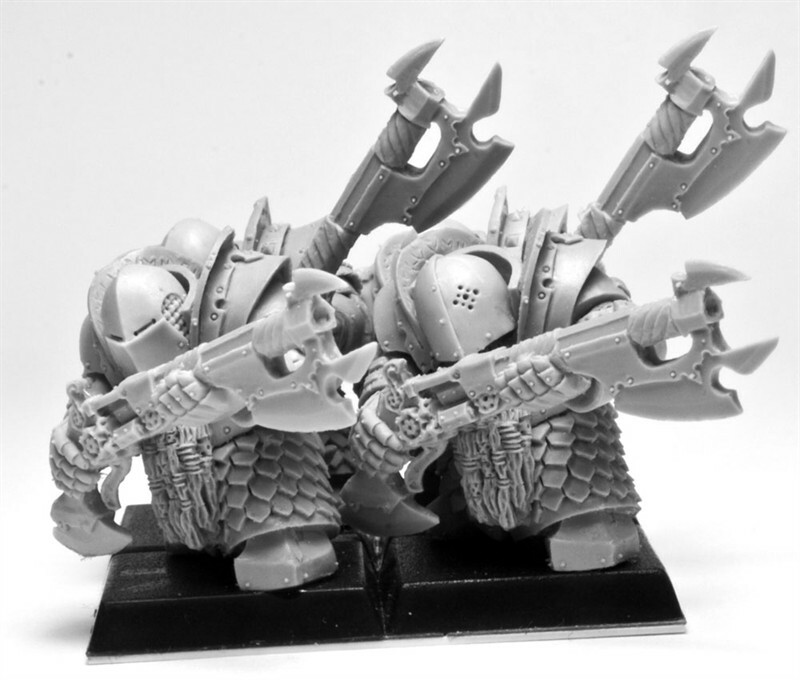 They do have a ‘old school’ look to them, very Chaotic.